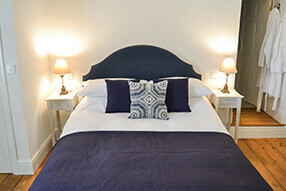 At Bang in Wells we have 4 outstanding, luxuriously appointed guest rooms to rival the best holiday accommodation on offer along the North Norfolk coast. 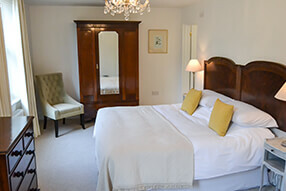 At Bang in Wells our guests come first. Our rooms and service at Bang in Wells are comparable to those you would normally expect to find in a top quality hotel but with the informality of a Bed & Breakfast. Stunning modern bath and shower rooms, exceptionally comfortable king or super king size beds, flat screen TV’s, bathrobes and guest toiletries can be found in every room along with room fridges providing fresh milk and bottled water. Children are welcome to share your room for an additional charge. For children we provide cubes that flip out into floor mattresses and you can bring their own sleeping bags or we can provide them. Breakfast is included in your room rate and is served in our ground floor café or outside in the courtyard, from 8.30am.. You can pre order sandwiches or an evening snack or a picnic to take out with you during the day. Our friendly team at Bang in Wells look forward to welcoming you and making sure your stay at Bang in Wells is a memorable one and a place you will want to return to time and time again. Breakfast is included in your room rate and is served in our ground floor café or outside in the courtyard, weather permitting, from 8.30 till 10.30am and you can pre order sandwiches or an evening snack or a picnic to take out with you during the day. Of course good dogs are welcome to stay with well behaved owners. Our friendly team at Bang look forward to welcoming and making sure your stay at Bang is a memorable one and a place you will want to return to time and time again! Tewksbury is classically decorated with antique furniture and tall sash windows and is located on the 1st floor overlooking Staithe Street. 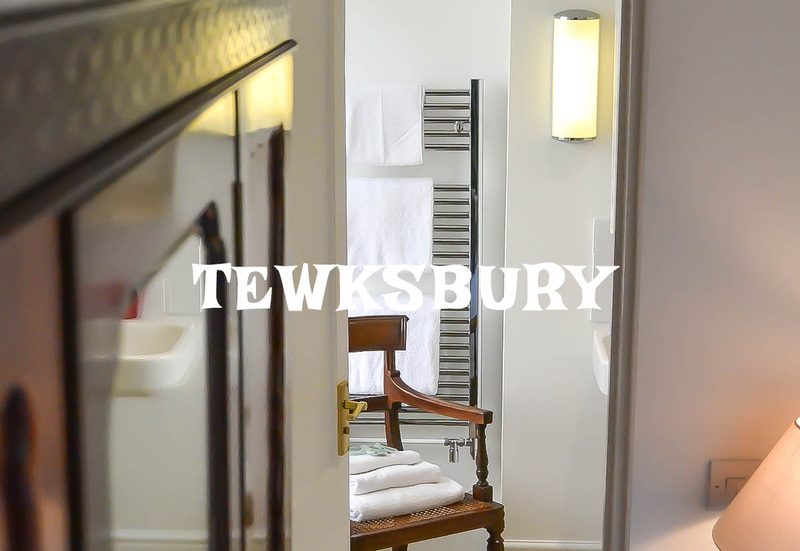 The Tewksbury room rate is £125 per night. 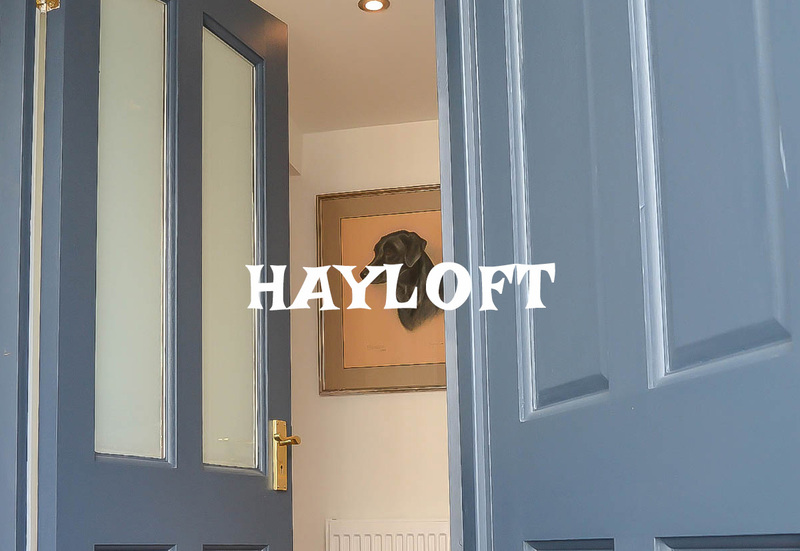 Hayloft comes with its own separate entrance this dog friendly room is on the1st floor and consists of a characterful double room. 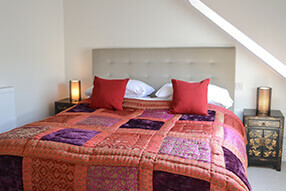 The Hayloft room rate is £105 per night. 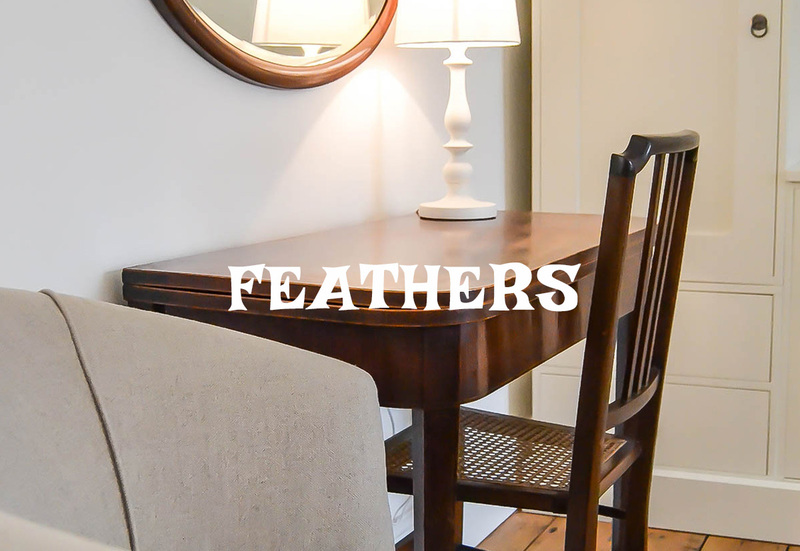 Feathers is a tranquil, light and bright double room located on the 1st floor at the back of the building with views over the courtyard. 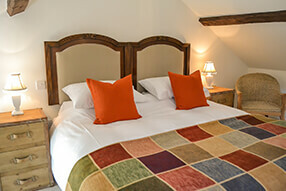 The Feathers room rate is £115 per night. On the second floor and consisting of a double bedroom with a separate sitting room which can accommodate 2 children on fold-out beds. 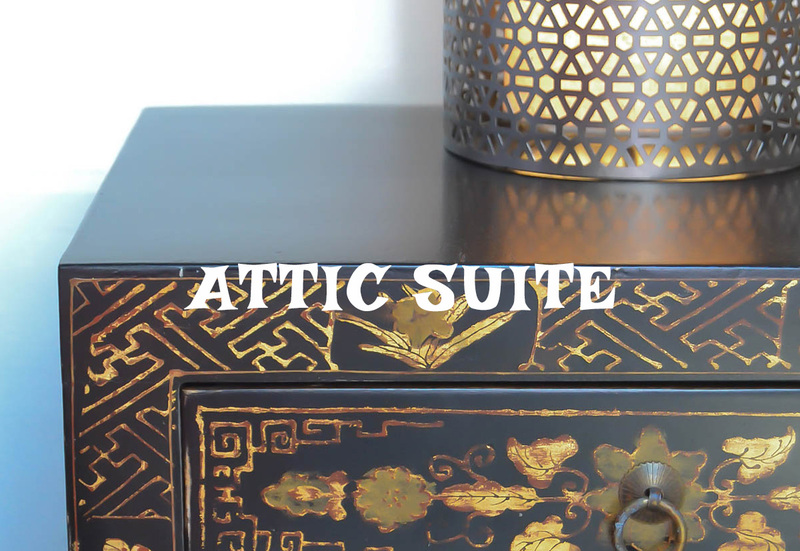 The Attic Suite room rate is £135 per night.